How Does Your Gambling Compare to North American Averages? Neither high frequency of play nor amount wagered necessarily reveal problem gambling behavior, since problem gambling is much more about losing control and the experience of negative consequences. Gambling a lot and even wagering significant amounts per year do not, by themselves, indicate problem or pathological gambling, but since problem and pathological gamblers often need to gamble with greater frequency and risk greater amounts to feel excitement and fulfillment, your heavy or escalating betting could be a warning sign of a very serious problem. If you’re gambling much more than an average person does, you are at correspondingly much greater risk to develop a problem and may want to look hard at how much control you still exert over your present play. But how much is too much and how do you compare to the average North American man or woman? How Much Money Did You Lose Over the Last 12 Months? Be honest here. Calculate exactly how much money you lost through all forms of gambling over the past year (casino, sports betting, office pools, lottery and scratch and win tickets, bingo, VLT terminal etc.). Another way to look at things is to calculate what percentage of your gross family income (before taxes) you spend on gambling per month. To calculate your percentage, divide your total monthly pre tax family income by the amount you gamble in a month. People who gamble more than 5% of their gross family income per month are 3 times more likely than people who gamble less than 1% of their gross family income per month to experience serious problems from their gambling. Some examples of serious consequences from gambling include health problems, needing to borrow money to pay gambling debts, having financial problems or feeling guilty or ashamed about your gambling. 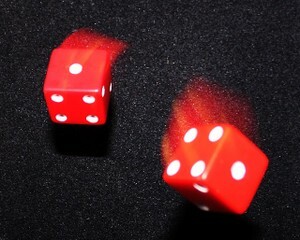 Regular gambling doesn’t necessarily indicate a gambling problem, but statistics show that people who gamble more frequently are more likely to experience significant consequences from their betting and since a preoccupation with gambling is a serious warning sign of a problem, if you’re playing more frequently than the average person, you may want to be careful. So how often do most people gamble, anyway?